General objective of this article is to focus on Steps for Network Vulnerability Assessments. 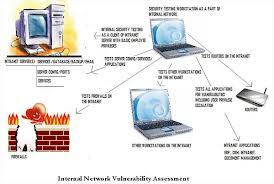 Network vulnerability assessments work to distinguish and rank vulnerabilities within a system. These assessments are searhing for weaknesses in the system that can allow unauthorized access, flaws or susceptibility of the system, and the likelihood or capacity for exploitation of the flaws.